Yosemite Valley, clearing storm from the tunnel view parking area. Dry spells happen. Sometimes you lack creative energy. You pick up your camera but can't find something inspiring to shoot and when you do, the images seem dull or repetitive. We've all been there. I've been there. So what to do about it? Find your Muse and keep shooting. Bank of the Merced River, Yosemite Valley, 2016. What is a Muse you ask? The literal definition from the interweb is ... "a woman or a force personified as a woman, who is the source of inspiration for a creative artist." It is also synonymous with inspiration or creative influence. For me it is anything that makes my heart smile. That includes my family, the landscapes of Yosemite and lately the female form. Your muse doesn't have to be a person. It can be anything you love. The idea is that when you love something it translates to your images. You see these things differently than others. Alfred Stieglitz had Georgia O'Keeffe, Edward Weston had Charis Wilson. 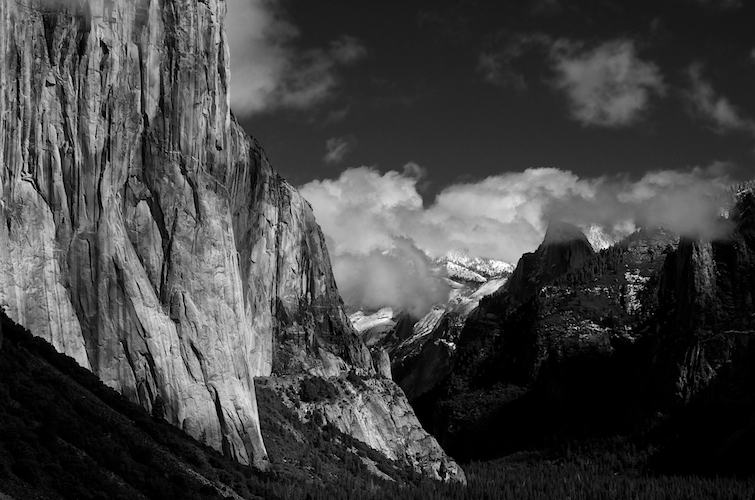 Ansel Adams had Yosemite (In my opinion.). @devithemodel on Instagram. My favorite shoot to date. Looking forward to working with her again. I believe it is as simple as looking inward. Search your heart and find that thing or person that inspires you. When you find this, shoot the hell out of it. Shoot in different locations, with different lighting, natural, off camera, on camera. Shoot it in a context that sings for you. Explore the possibilities, they are endless. Marie Jean from modelmayhem.com Another amazing shoot on the Sonoma County Coastline. The key to these types of images is how well you know your muse. If it's an item, now does it react to light? How does it move and what can you do with it. How does it look from different perspectives of distance or elevation? If it's a person, what pose works best, where are they most comfortable? What makes them sad, happy, laugh etc. Explore every angle, every curve, every nuance of how they look in different light. Once again the possibilities are endless. My Son, shot with the Fuji XT1, 56mm f1.2 lens. So pick up that camera and make some images. I believe if you make images of the things you love then you will love your images!